Data management made simple. Archiware GmbH is a privately-held company with over 20 years of experience in data management software for backup, synchronization and archiving. Archiware’s software is primarily aimed at small and medium-sized businesses and the media and entertainment industry. Die P5 Software Suite ist ideal für Unternehmen in der Medien- und Entertainmentbranche. Die vier Module der Archiware P5 Suite sichern Daten mit Hilfe verschiedener Verfahren und stellen sie bei Bedarf wieder her. Alle Module können kombiniert werden, um mehrstufige Sicherheitskonzepte zu schaffen und maximalen Datenschutz zu erreichen. 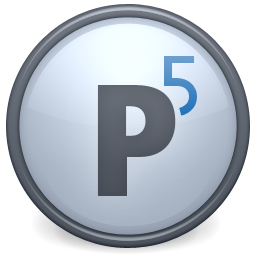 Archiware's P5 Software Suite is ideal for businesses in the Media and Entertainment industry. The four modules in the Archiware P5 Suite secure data using different methods and restore them when required. All modules can be combined to create multiple-step security concepts to achieve maximum data protection.